Home - Uncategorized - How to go From Wait List to Accepted! How to go From Wait List to Accepted! You finally get that long-awaited letter from your top-choice school and you’re not accepted or rejected. You’ve been wait-listed. It’s easy to view being placed on the wait list as a rejection but, honestly, it’s not the end of the world. While it’s not easy getting off the wait list, it’s not impossible either! Colleges use wait lists when they’ve accepted the maximum number of students but still view the wait-listed applicants as qualified. Instead of wasting time feeling down, applicants who want to attend a particular school should take action to get off the wait list, instead. Is Remaining on a Wait List Worth It? You have the option to stay on or remove yourself from a school’s wait list. If you decide to stay on the wait list, return the form indicating your interest to the college as soon as possible. Indicting your interest significantly increases your chances of getting off the wait list so the sooner you let them know, the better! If you’ve been placed on several lists, there’s no reason why you can’t stay on more than one. The number of students on wait lists varies from school to school and changes each year. If the school won’t or cannot tell you where you’re ranked, ask how many students were accepted from the wait list last year. If you receive a letter saying you’ve been put on the wait list, respond immediately. Be sure it’s you who responds – not your parents or counselors. It’s very important that it’s always the student who is in contact with the college and not someone else on your behalf because it can reflect poorly on you. Specify why you’re interested in the college, including any particular courses, professors, extracurricular activities, features, etc. by name that highlights how the particular school will help you achieve your educational goals and future endeavors. Maintain email contact with your regional admissions representative listing latest grades and achievements, but DO NOT harass them. Remember, sending an email on a weekly basis saying, for the most part, the same thing takes away any significance whatsoever. Wait until you have a new letter of recommendation, have received a new award or have completed another important achievement that could potentially lead to an admissions reevaluation. 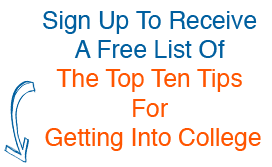 Don’t let the wait list stall your college plans. Let go, move forward and think of other alternatives, making plans to attend another school. Send in your deposit to secure a place at your second-choice college. Don’t have any expectations and start to find value in another school. The truth is, you’ll probably be happy there, too. In the event you are accepted from the wait list, you’ll have to forfeit the deposit you made at the second choice college where you enrolled. Also, students admitted from the wait list may not have the same financial aid or housing opportunities of those accepted during the first round, since many of those opportunities have already been fulfilled. The National Association for College Admission Counseling’s statement of student rights requires schools to answer a student’s questions on how being on the wait list will affect housing and financial aid. Reevaluate the college in question and decide if you’re still interested enough to back out of the school where you’ve already committed and if you’re willing to forego some of the important college necessities like financial aid and housing or, at the very least, investigate if you’ll have to forego them. Also, consider if you were wait-listed because you were on the cusp as a student. Will you be too challenged at the school? Being challenged is certainly a good thing, but being too challenged is another story. You don’t want to constantly worry if you will be passing courses, rather than if you will be making the dean’s list!